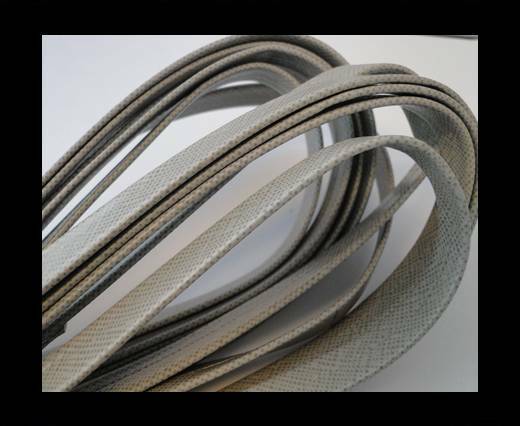 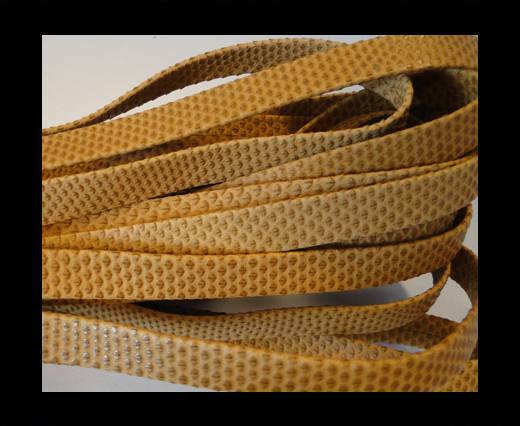 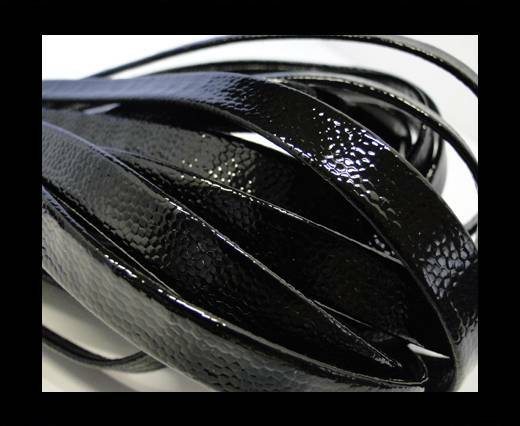 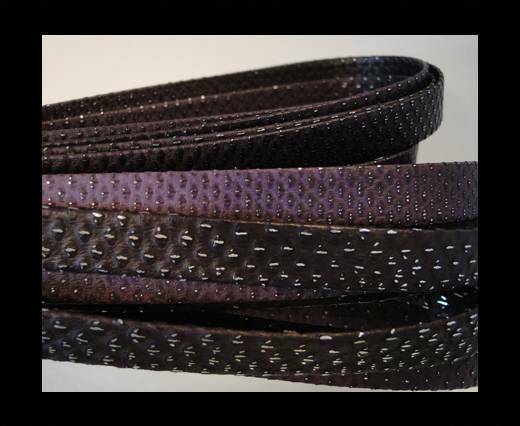 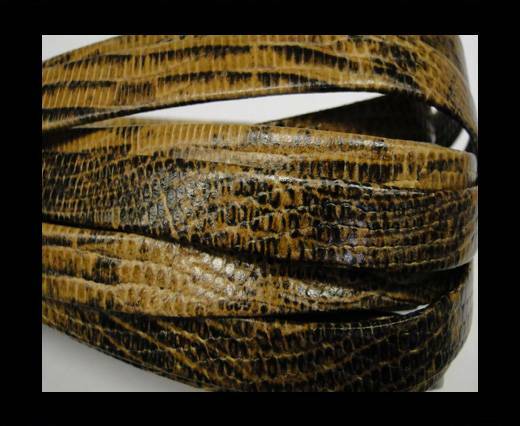 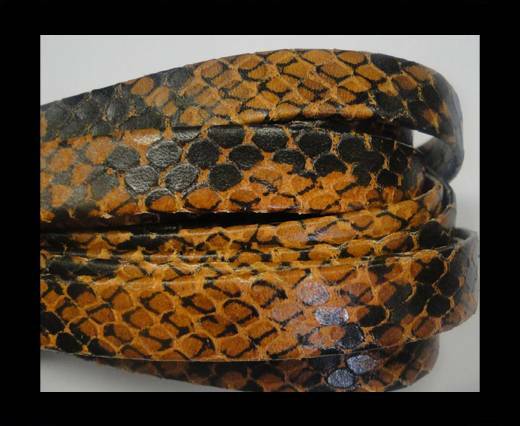 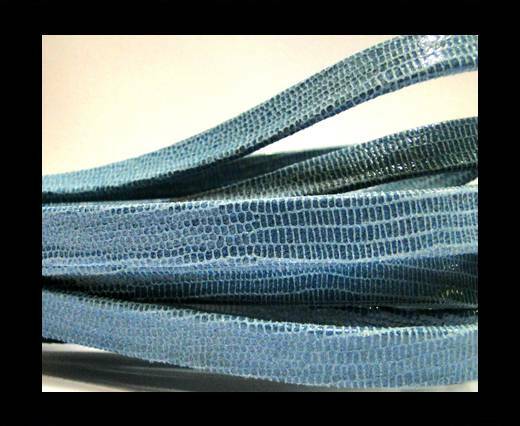 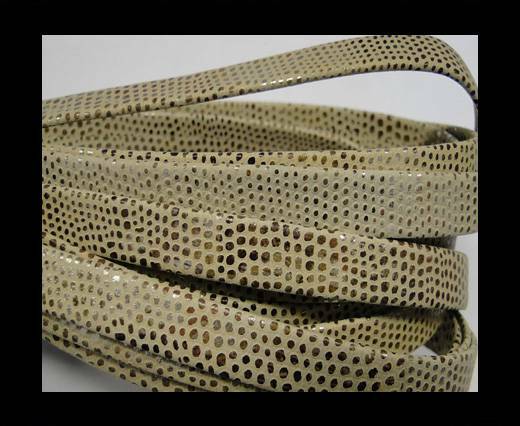 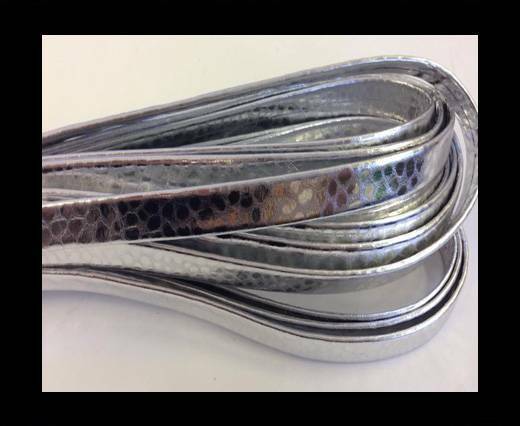 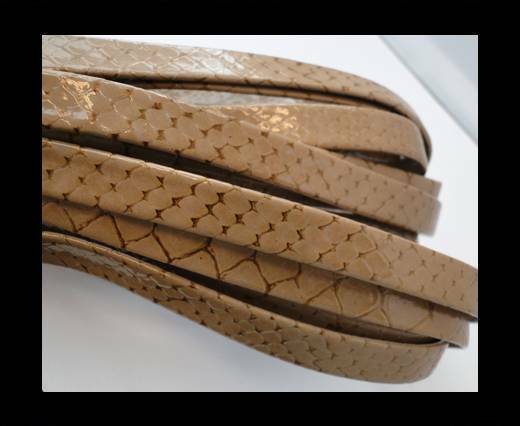 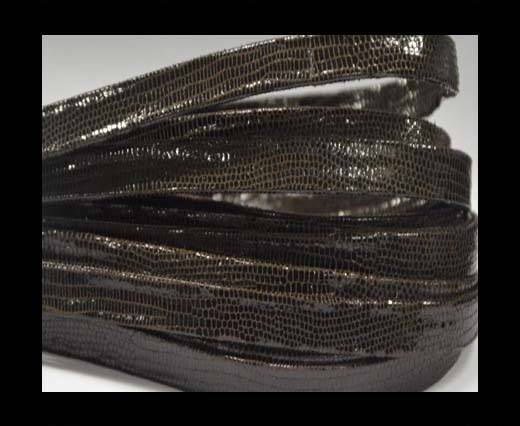 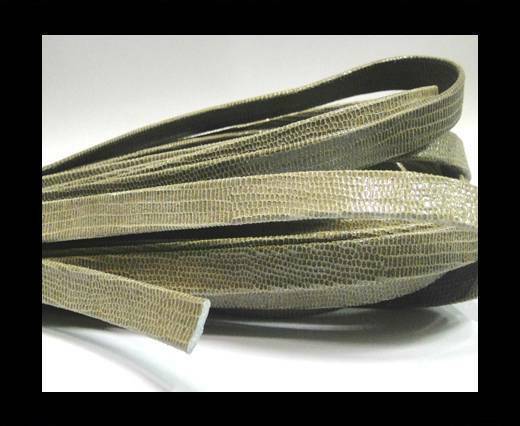 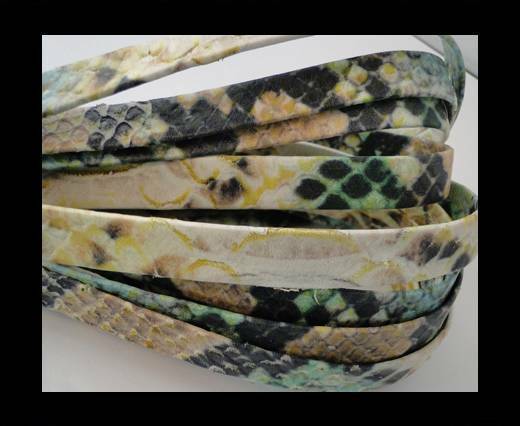 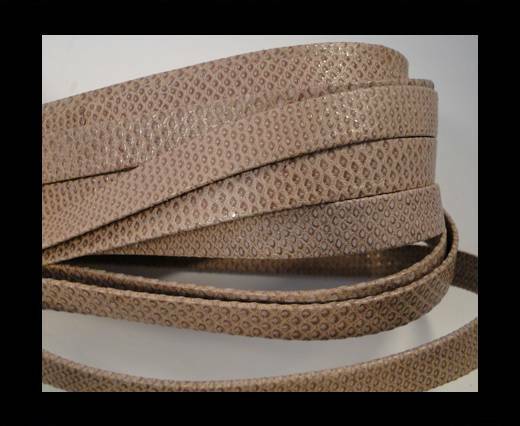 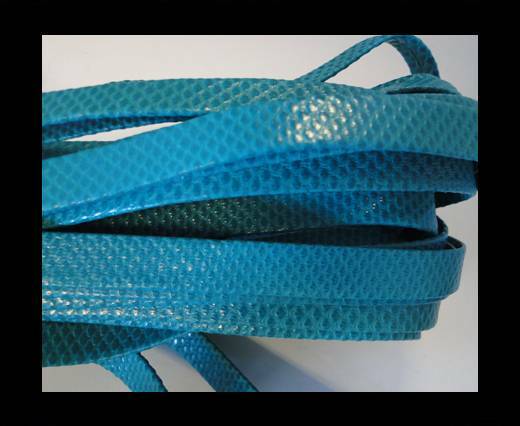 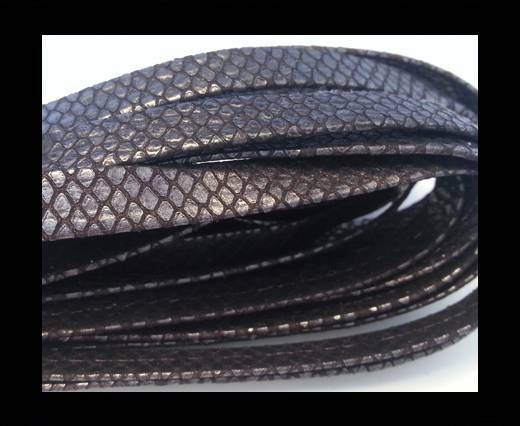 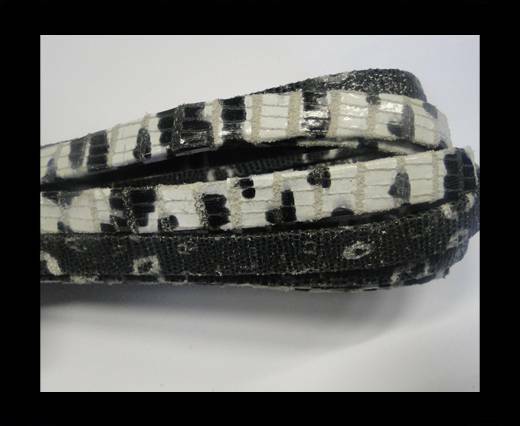 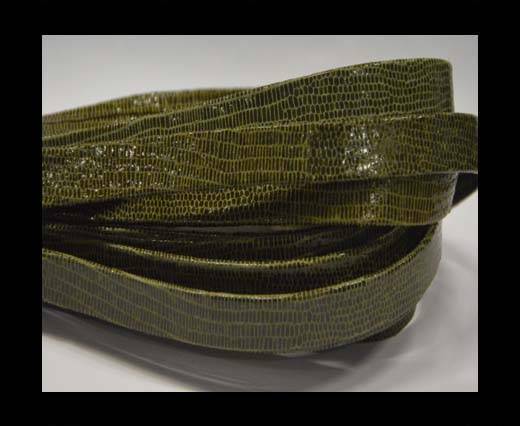 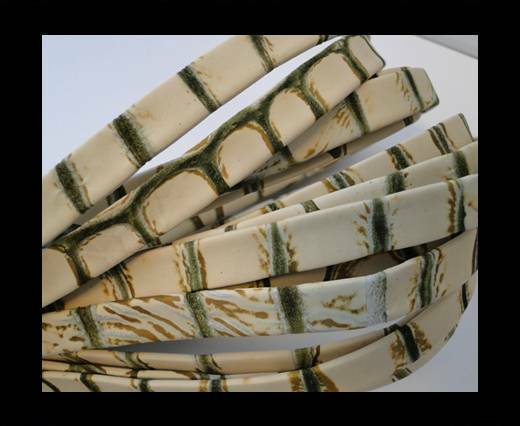 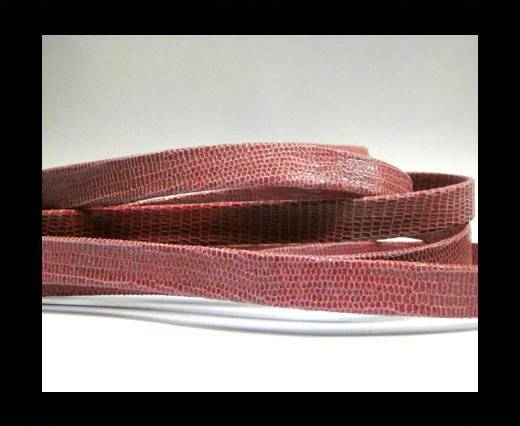 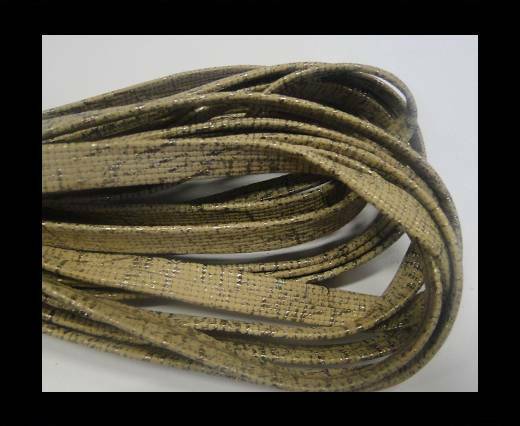 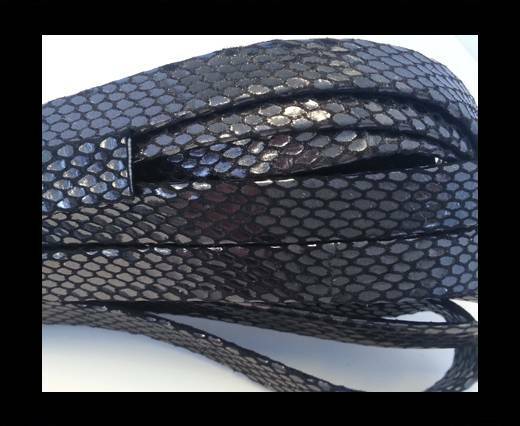 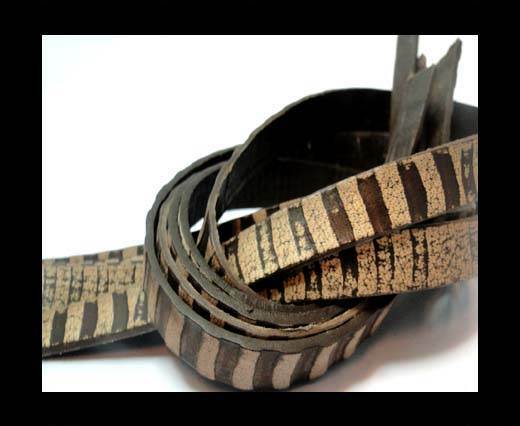 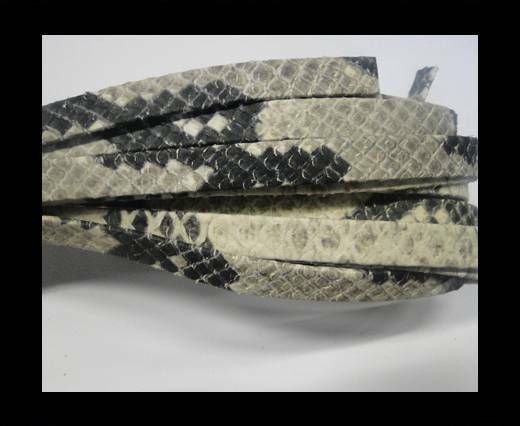 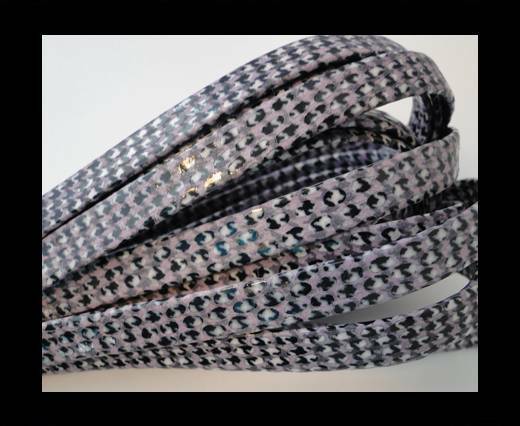 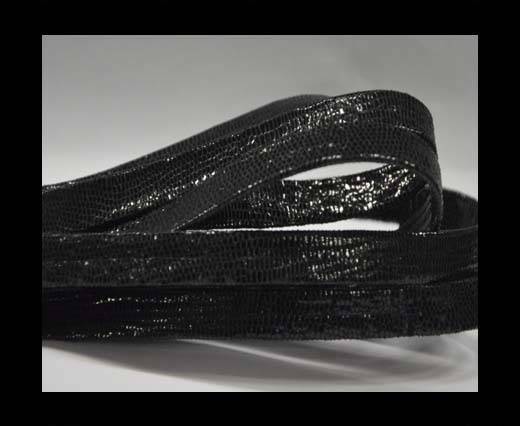 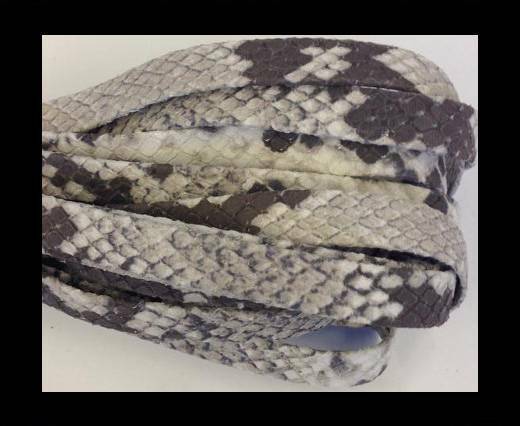 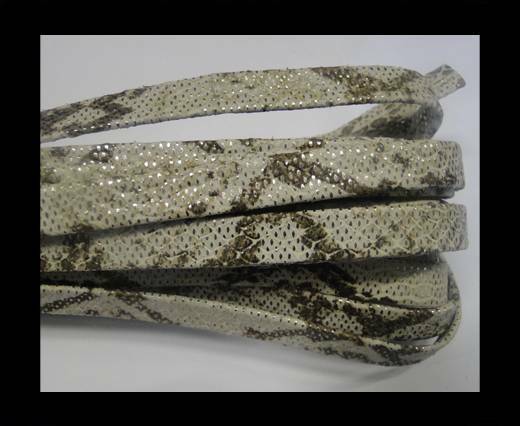 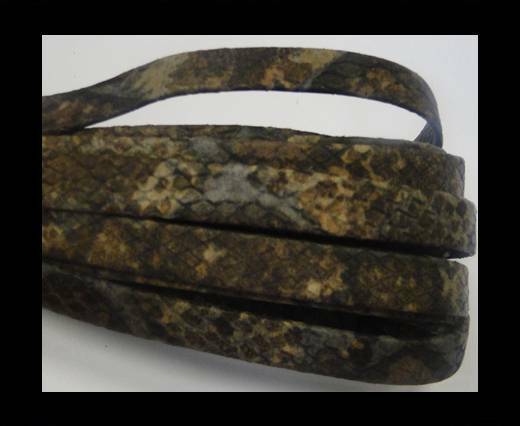 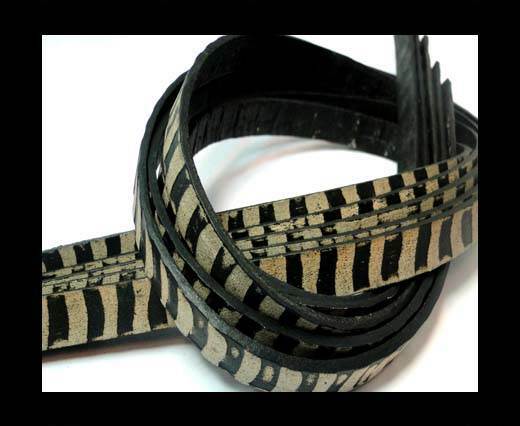 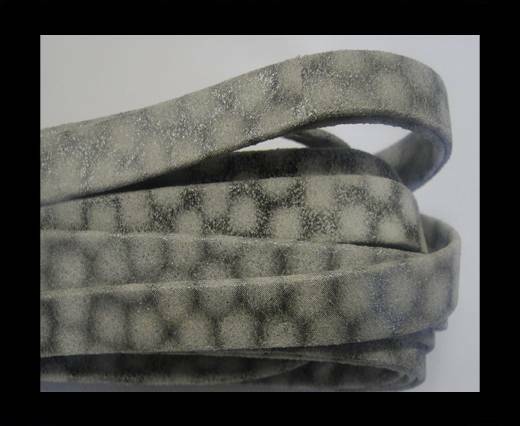 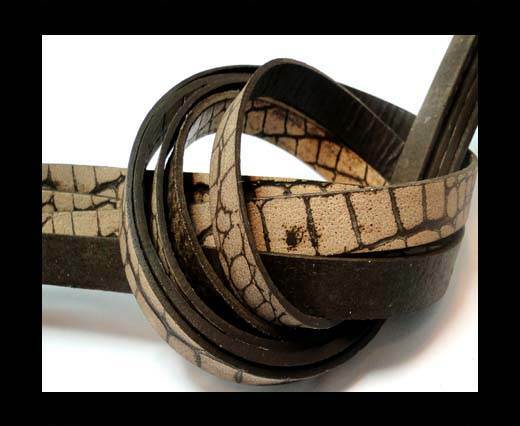 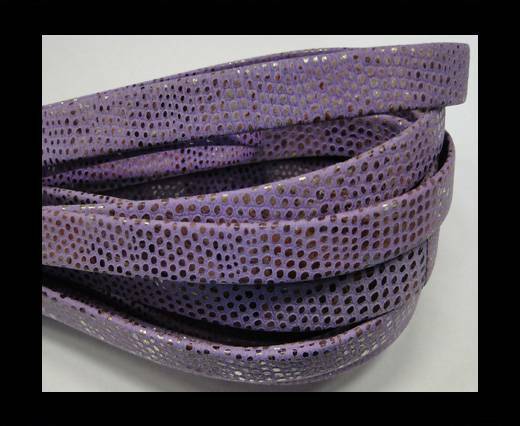 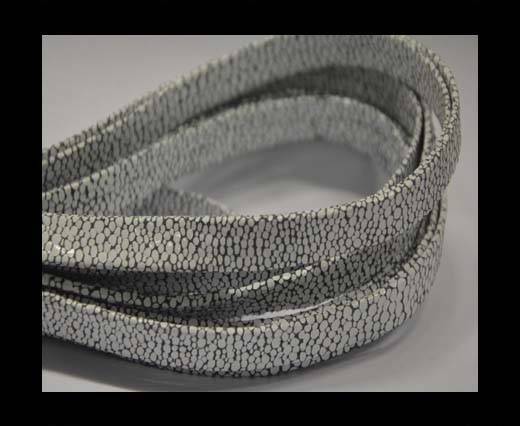 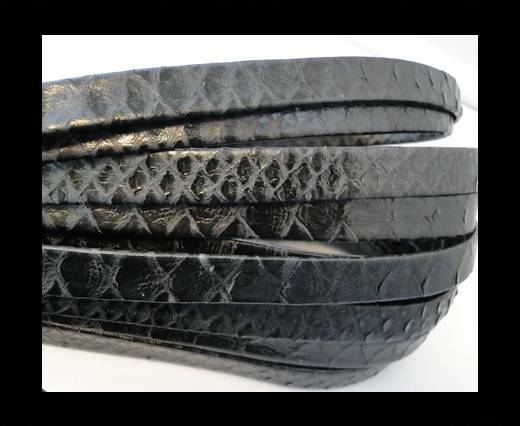 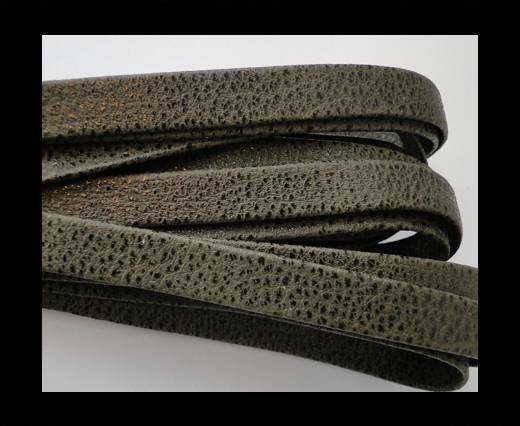 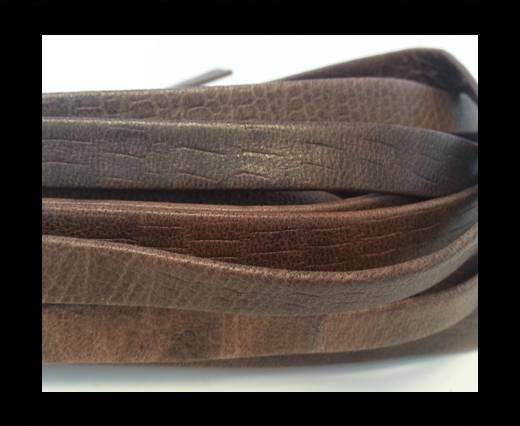 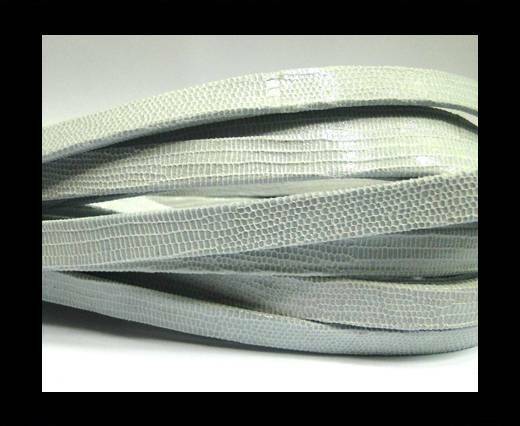 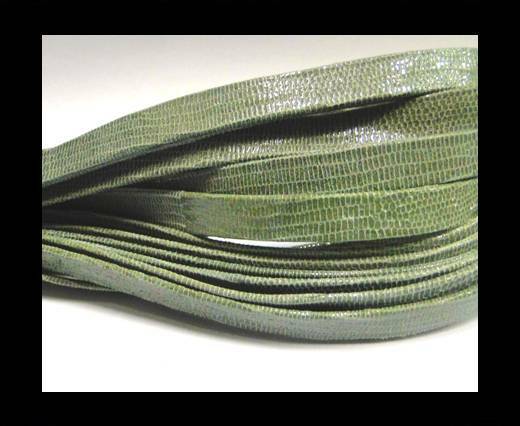 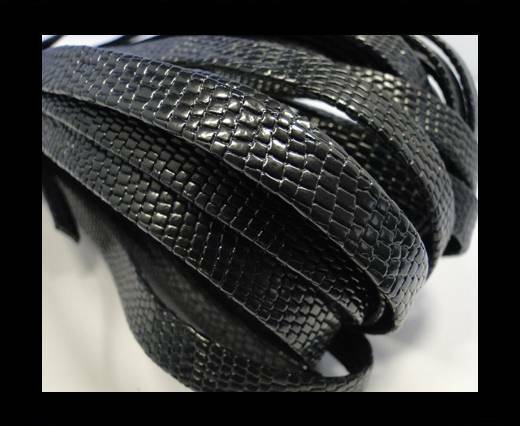 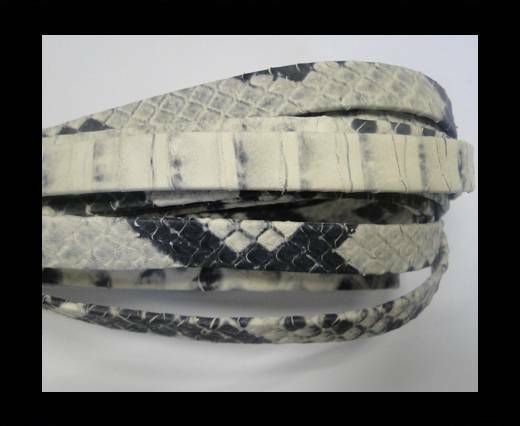 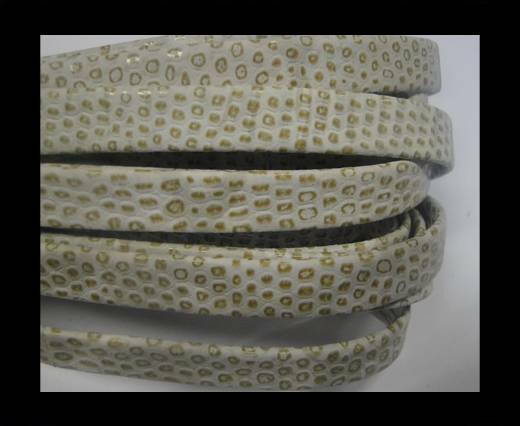 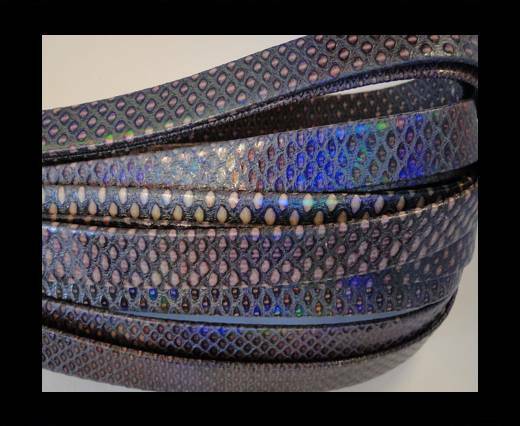 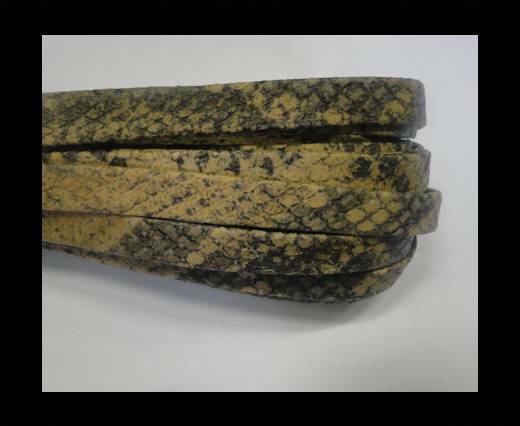 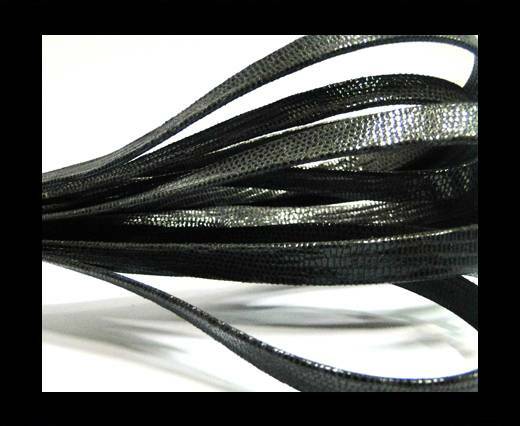 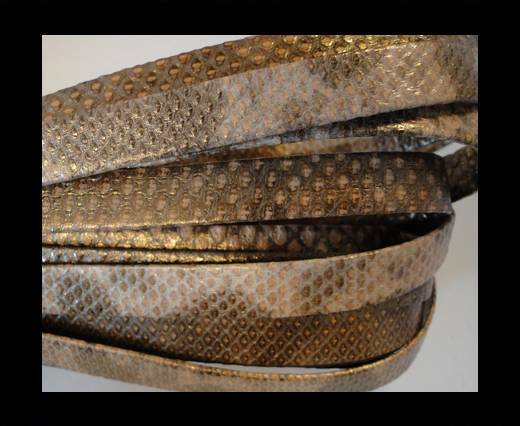 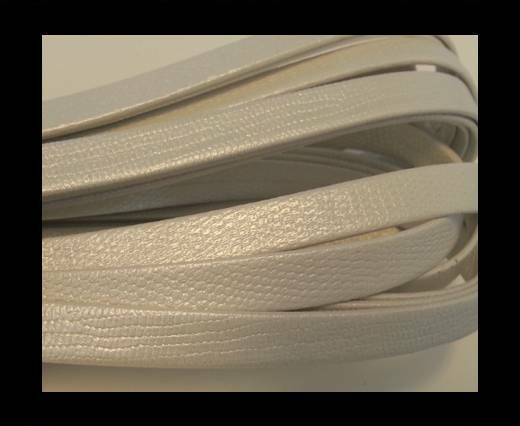 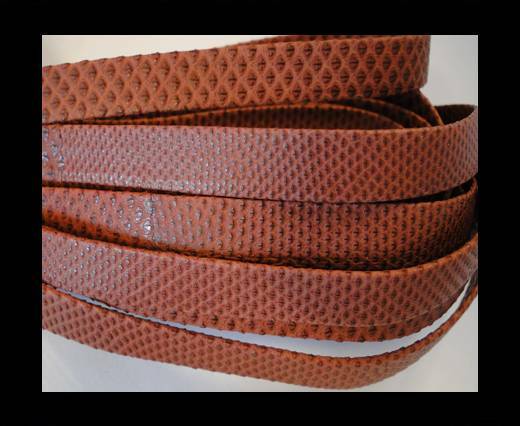 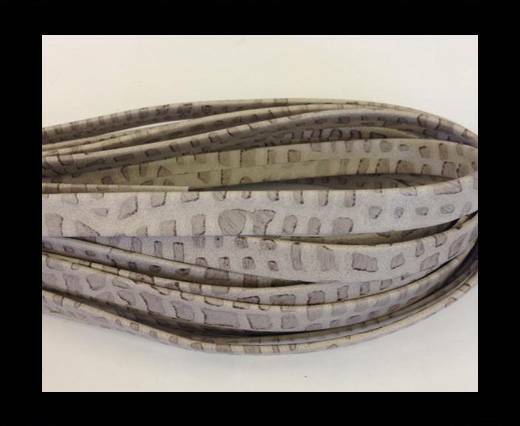 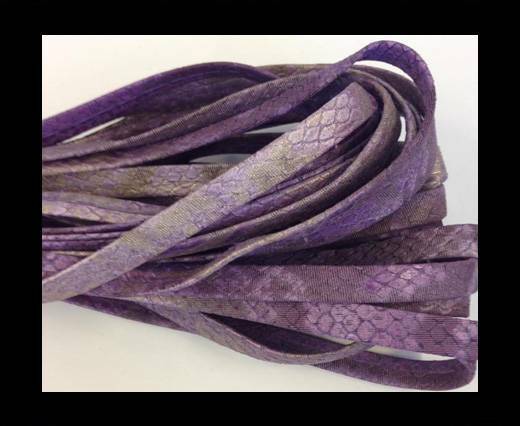 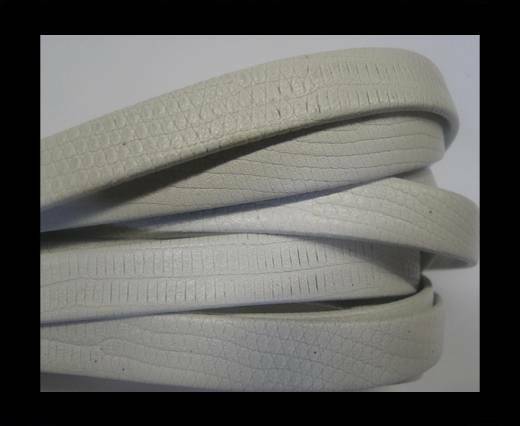 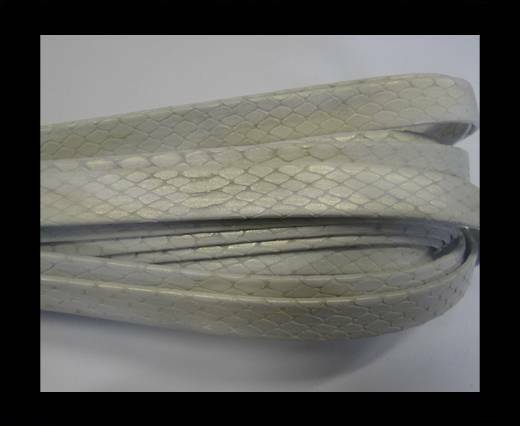 High quality Real Nappa leather flat laces with snake and stingray print in 10 mm at wholesale prices. 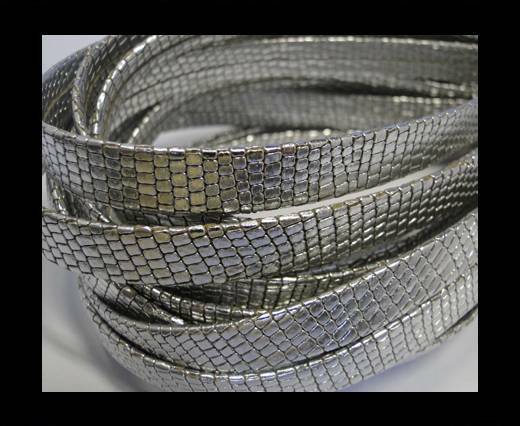 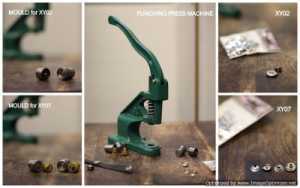 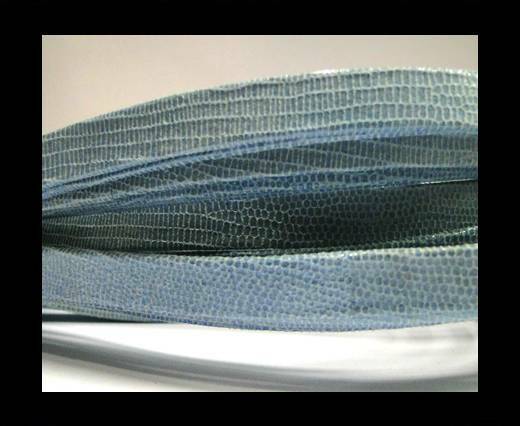 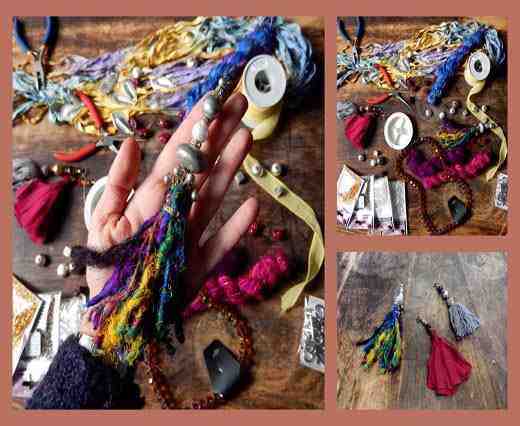 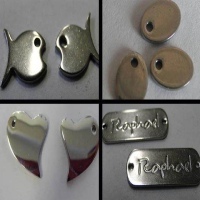 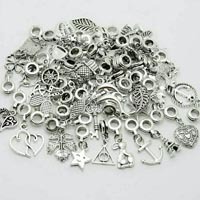 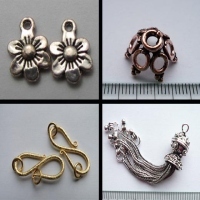 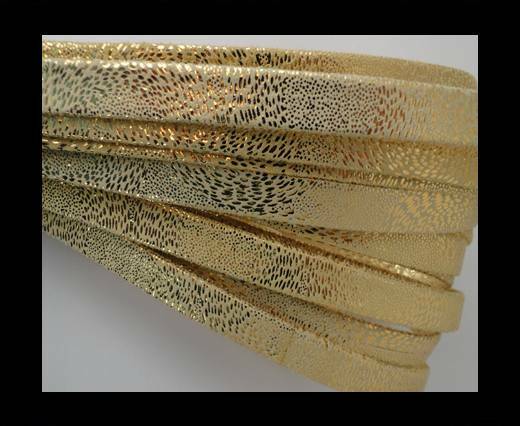 This material is extremely versatile and easy to handle in jewelry making and fashion accessories creation and design. 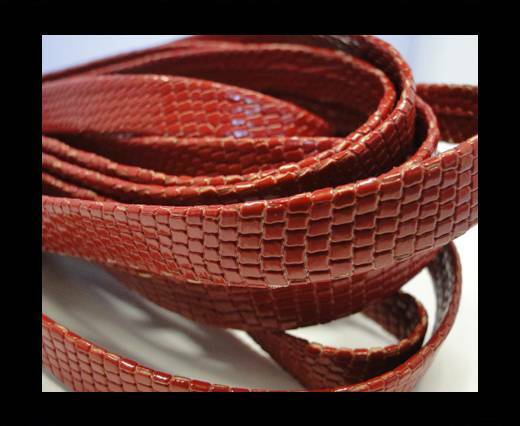 Thanks to its bright colours, reliable strength and extremely soft texture, our Nappa leather is a special and precious textile, especially popular among designers, both from the jewellery and the fashion world. 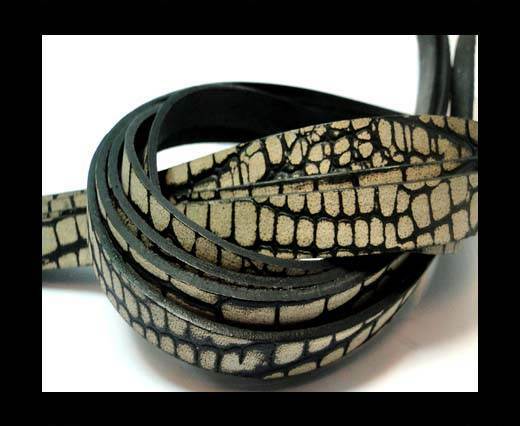 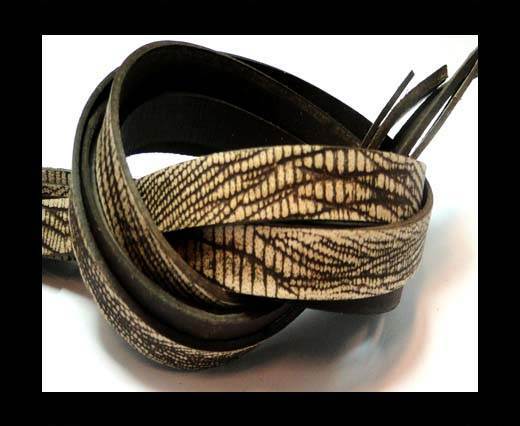 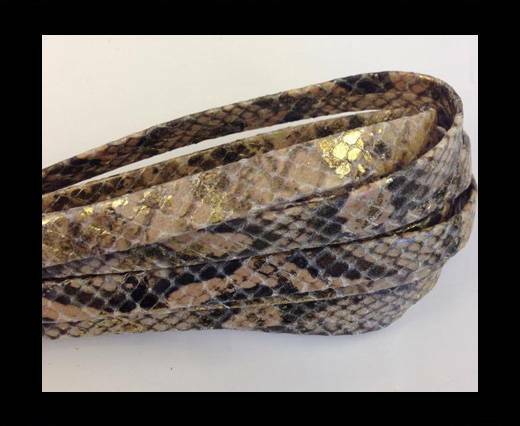 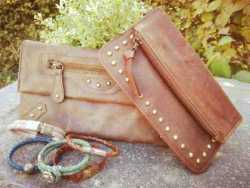 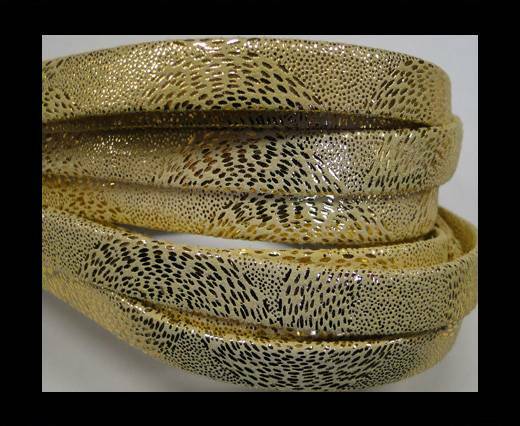 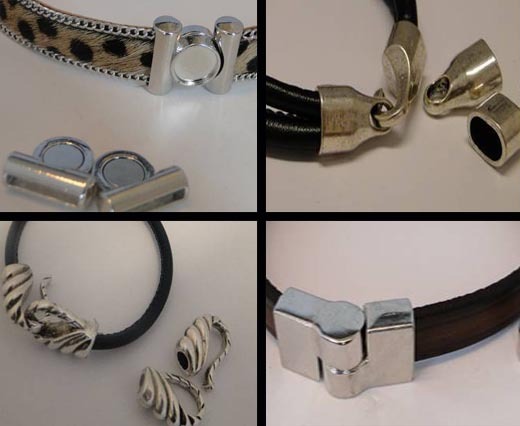 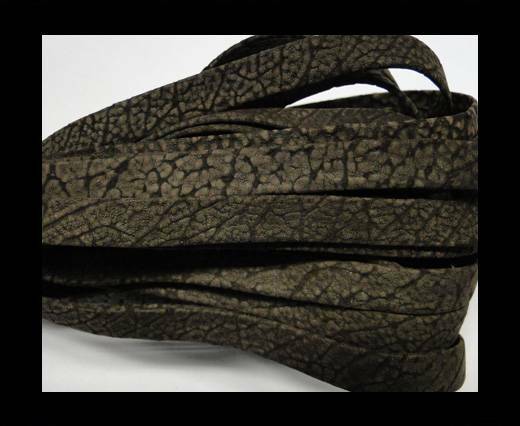 Our genuine and soft Nappa leather with animal prints is of the finest quality, and it is a very popular textile among both jewelry and fashion designers. 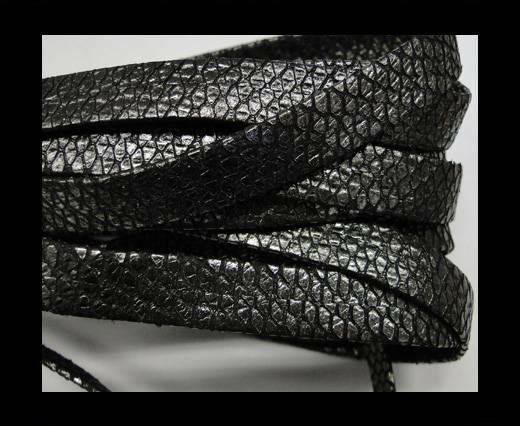 Thanks to its colour brightness, it is extremely soft texture and its absolute versatility, it is widely popular and mostly appreciated for its ease to handle in jewellery production and fashion accessories creation and design. 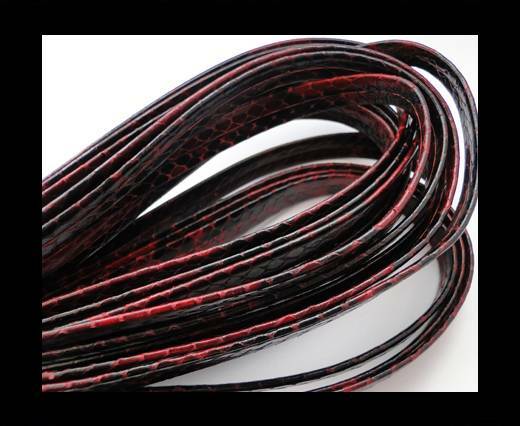 Our Nappa leather laces in 10 mm can be easily used with our flat stainless steel locks, findings in steel and silver plated locks to create all types of jewels in a variety of different styles. 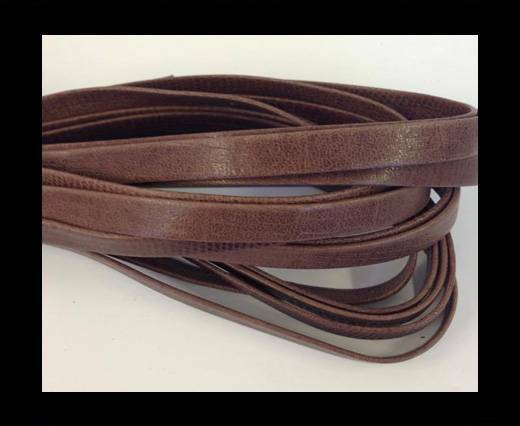 Another way of using our Nappa leather cords is in combination with other styles and types of leather, including braided, flat and round, as well as in combination with other stylish, original and elegant textiles, such as suede, silk and hair-on.